Qualified US military personnel and recent or soon to be college graduates, are eligible for special discounts on new Nissan vehicles. The special discounts NNA offers to qualified US military personnel and recent or soon to be college graduates may be changed from time to time in NNAx2019s sole discretion. The special discounts NNA offers to US military and college graduates may not be combined together or with other VPP offers in a specific transaction. College Grad Eligibility Individuals graduating within six months or the past two years from an accredited US two or four year university, college, junior college, graduate school, or nursing school (x201CGrad School(s)x201D). All current graduate students and graduate nursing students also qualify. Participants must reside in the continental United States, Hawaii, or Alaska. 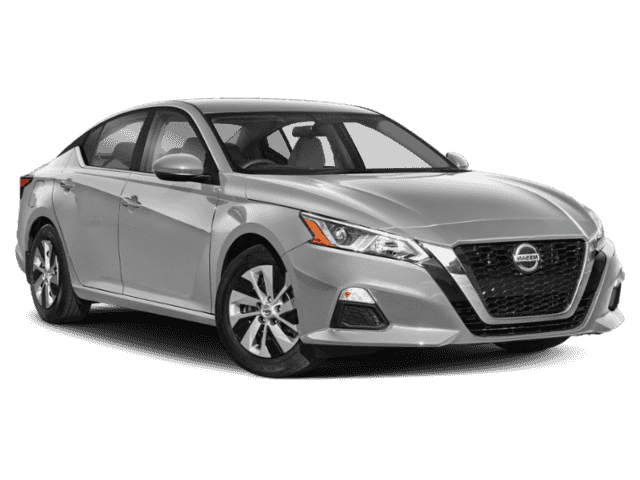 Qualified participants who wish to purchase a vehicle must generate a Nissan College Grad Claim ID on the VPP website, or by calling 1-800-299-4753. A printed copy of the College Grad Claim ID must then be provided to the dealership at the time of purchase. Military Eligibility US Active and Reserve Military (Army, Navy, National Guard, USMC, USAF, Air National Guard, US Coast Guard, US Public Health Service Commisioned Corps, and their spouses/domestic partners) US Military Veterans within 12 months of separation from active or reserve duty. US Military Retirees that have completed 20 years of Active or Reserve duty, including those persons on PDRL and TDRL Quallified Participants must visit local dealership with proof of eligibility to generate your certificate and savings. Dealers must generate and submit military certificate to VPP processing to be reimbursed. Proof of Eligibility is as follows: Proof of graduation (College Diploma, Official Transcript) from a Grad School within the past 24 months; or Written confirmation (Official Transcript/University Letter) of upcoming graduation from a Grad School within 6 months; or Proof of current enrollment (Transcript/University Letter) in an accredited US graduate school; or Approval from NMAC x201CSignature Graduatex201D Program. (see NMAC bulletin for complete program details) US Active and Reserve Military: Required documentation is their current active service Leave and Earnings Statement (x201CLESx201D). US Military Veterans: Required documentation is their current active service Leave and Earnings Statement (x201CLESx201D). US Military Retirees: Required documentation is DD214/NGB22 or other supporting documentation clearly indicating retirement status. Important Program Information Participants are able to receive a discount certificate in the amount of either $500, $750 or $1,000 dependent upon the eligible vehicle of their choice, and the certificate amount associated with that vehicle model, plus all consumer facing incentives. (See Model specific discounts.) Qualified participants are allowed one purchase for personal use in their name only under the Nissan College Grad Program. US Military Program participants can take advantage of this program up to 2 times per calendar year. US Military Program purchases are for personal use only and cannot be purchased in a business name. Also, the discount is not compatible with any vehicle sold or leased to a fleet account. US Military Program participants must reside in the continental United States, Hawaii, or Alaska. Dealership Responsibilities -Verify eligibility of participant. -Dealers must adhere to the pricing formula for determining the purchase price / capitalized cost of the vehicle, the service contract, and finance / lease contract. -Dealers must give VPP customers eligible consumer facing incentives and programs including, but not limited to, customer cash, subvented APR (based on eligibility), all forms of bonus cash, lease support including money factor and residual subvention, owner loyalty and conquest cash. $349.25 per month for 24 months. $2,003.85 due at lease signing. Excludes registration, tax, title and license. $262.04 per month for 36 months. $2,226.50 due at lease signing. Excludes registration, tax, title and license. Listed Incentives are available for registrations at #1 Cochran Nissan West Hills located in Coraopolis, PA. Information Provided by Automotive Information Systems, Inc: Information is Reliable but not guaranteed. Finance Offers (APR) are available to qualified buyers subject to Credit Approval, not all buyers will qualify.